If the Yakima Bears were to have a chance in this August 1990 game, they needed a ninth-inning stop, according to The Bend Bulletin. Yakima called on reliever Pedro Perez to hold Bend and he did. In his one inning of work, Perez set the Bucks down in order, The Bulletin wrote. Perez held Bend in his second season as a pro. He played in two more. He briefly made AA, but never made it higher. Perez' career began in 1989, signed by the Dodgers as a free agent in out of his native Dominican Republic. Perez started in the Dominican in 1988. He went 6-1 for Santo Domingo, with a 1.11 ERA. He's credited as playing 1989 there, too, as well as at short-season Salem. At Salem in 1989, he went 2-2, with a 2.79 ERA over 23 outings, three starts. He moved to Yakima and high-A Vero Beach for 1990. He went 7-4 overall, with a 4.19 ERA. Perez moved to the Cubs system for 1991. 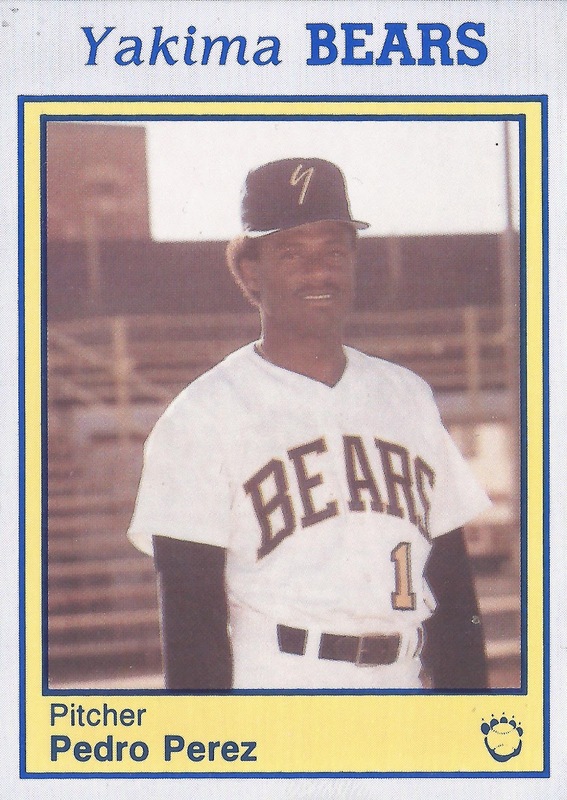 He played the year between single-A Peoria and short-season Geneva. In 23 games, 17 starts, he went 4-5, with a 3.28 ERA. Perez played his final season in 1992. 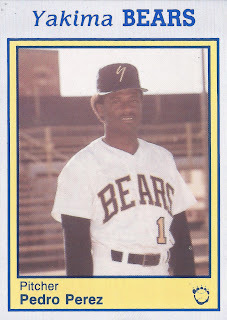 He played mostly at high-A Winston-Salem, but got a single appearance at AA Charlotte. He went 2.1 innings there, giving up two earned. He went 6-8 at Winston-Salem, putting up a 4.20 ERA to end his career.